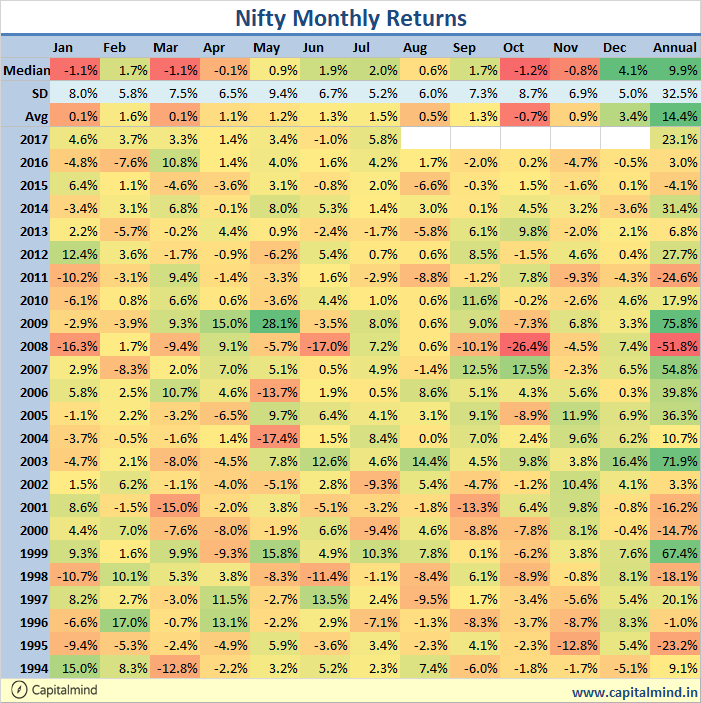 The Nifty had the best month of 2017 in July; it was up over 5%! The move to 10,000 has been swift. And takes the 2017 return to 23%. 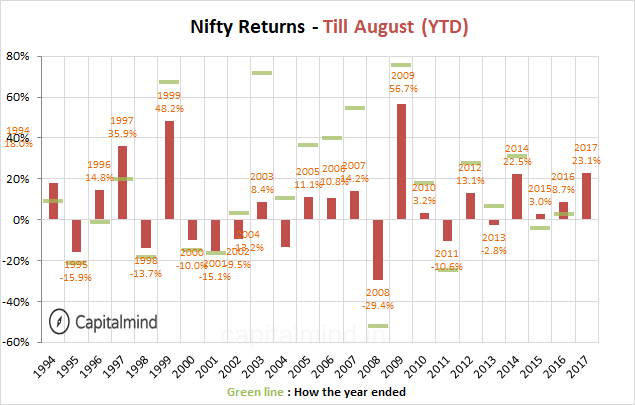 The Sensex also did about 5%. This is effectively the best month for the markets since March 2016. In terms of Year to Date returns, the Nifty has done 23%. Which makes it the best calendar year for the markets since 2009. We won’t know till it’s too late. But overvaluation begets more overvaluation and as long as people are skeptical (including us) the market will go up. All we can say is: markets are going to be fun. Melt-ups, melt-downs and volatility – are all back now, just not yet on the downside.